Lifestyle and Health: Pharma cos confess that they were NOT ETHICAL? Pharma cos confess that they were NOT ETHICAL? So now, Pharma Crooks seek to clean industry image. 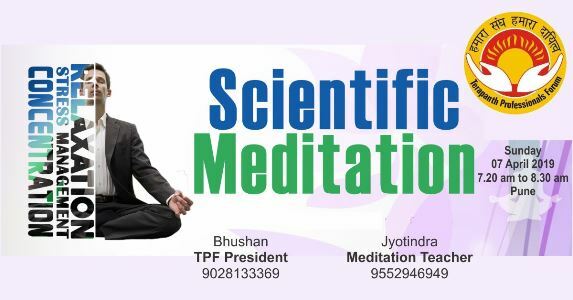 We have proven alternative therapy: Meditation, health care products, healthy lifestyle ideas and more....Contact Jayshree Zee WhatsApp +91 9405539036. We are also looking for business partners. Entrepreneur please contact Jyoti Zaveri +91 9552946949. This news is startling: Forum Working To Push Ethical Marketing! For the first time ever, some of India's biggest pharmaceutical companies, cutting across their respective associations and representing nearly half the Rs 93,000 crore market, have come together to push for ethical marketing practices to clean up the industry's image. The forum, comprising of 40 to 50 domestic and MNC firms, had its first closed door meeting on October 14.It has made a “voluntary and moral commitment“ to follow ethical marketing practices in “letter and spirit“, and will work with the regulatory mechanism to facilitate the exercise. Earlier attempts at bringing about a code acceptable to the entire industry had failed, as the associations -the Indian Pharmaceutical Alliance (representing domestic firms), MNCs-led Organisation of Pharmaceutical Producers of India (OPPI) and the Indian Drug Manufacturers' Association (IDMA) -were at loggerheads. This comes even as the government has already expressed its intention to make the `Uniform Code of Pharmaceutical Marketing Practices' mandatory from next year. The code -banning cruise tickets, freebies and paid vacations for doctors sponsored by drug companies -is voluntary at present. But in light of rampant violations, the government plans to make it binding on companies. The group -which includes top ‪#‎MNCs‬ like Novartis, MSD and Abbott, and domestic firms Sun Pharma, Zydus Cadila and Dr Reddy's among others -wants to start a movement and build pressure on those who are not following ethical practices. A “voluntary“ coming together out of sheer “moral commitment carries greater weightage“ than guidelines being thrust on them, said an expert, who is part of the forum. 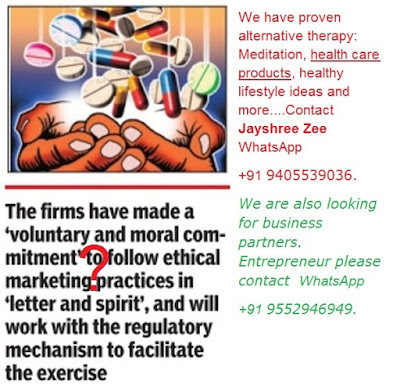 The `Forum of Pharmaceutical Ethical Marketing Practices' will draw a core working group from the firms to decide the modalities of taking the “movement“ forward, and is in favour of a body similar to the Advertising Council of India to regulate the code. Even after the code kicked in this year, complaints continued, with many saying that it existed only on paper, as firms aggressively try to influence prescriptions. “We plan to seek clarifications from the government so that it (the code) is tweaked into a more practical and implementable code,“ said Ranjana Smetacek, director general, OPPI.